Eqyptian soprano, Fatma Said, is one of the most unique young artists of her generation. Fatma has not only distinguished herself in opera houses and on concert stages, but also in a humanitarian capacity, regularly representing her home country as an ambassador for culture and education. Fatma has established a reputation as an extraordinarily gifted musician and is currently a BBC Radio 3 New Generation Artist. In 2016, she made her sensational role debut at Teatro alla Scala as Pamina in Peter Stein’s critically-acclaimed new production of Die Zauberﬂöte, conducted by Adam Fischer. The production, in which Fatma was described as “luminous” “warm and mature” and full of “incredible depth”, was broadcast by ARTE and has since been released on DVD. This 2017/18 season, as well as her BBC commitments, Fatma returns to la Scala as L’Amour is a new John Fulljames/Hofesh Shechter production of Gluck’s Orphée et Eurydice alongside Christiane Karg and Juan Diego Flórez. On the concert platform, she will appear in prestigius venues including Salzburg Mozarteum, Wiener Konzerthaus, Konzerthaus Berlin, and in Lucerne with Rolando Villazón. Fatma will also make her Wigmore Hall debut as part of the BBC Radio 3 lunchtime series. Amongst Mr. Davenport’s recent engagements have included; Nemorino in L’elisir d’amore with the Palau de les Arts Reina Sofia Valencia, Opera Delaware, Baltimore Concert Opera, Orlando Philharmonic; Rodolfo in La bohèmewith Opera Naples and Teatro Comunale Potenza; Ernesto in Don Pasquale with Opera Naples, title role Roberto Devereux at Teatro Carlo Felice di Genova; Arnold in Guglielmo Tellwith the Southern Illinois Music Festival; Gennaro in Lucrezia Borgia Palau de les Arts Reina Sofia Valencia; and Alfredo in La Traviataat the Teatro Carlo Felice di Genova. Upcoming role debuts include Fritz in L’amico Fritz with Baltimore Concert Opera and Peppe in Donizetti’s Rita in his Sarasota Opera debut. 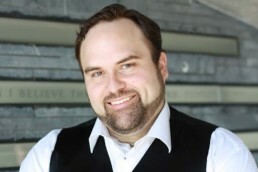 In concert Mr. Davenport has performed: Verdi Requiems with the Austin Symphony, National Philharmonic, Round Top Festival, Tuscia Opera Festival, Princeton Symphony, and New Jersey State Opera; Beethoven’s Symphony No. 9 with Concert Artists of Baltimore; Dvorák’s Mass in D with Columbia Pro Cantare; Rossini’s Petite Messe Solennelle with Opera Delaware and Puccini’s Messa di Gloria. He is a winner of: Opera Orchestra of New York Agnes Varis, Gerda Lissner Vocal, Giargiari Bel Canto, Licia Albanese, and Loren L. Zachary Society Competitions. He is a 2015 graduate of the Academy of Vocal Arts in Philadelphia. Passion and growth are two things that define Adriana Gonzalez in all her projects. 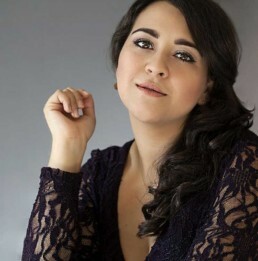 Born in Guatemala in 1991, Adriana Gonzalez is a lyric soprano that made her operatic debut with Gretel in Hänsel und Gretel, and Amour in Orpheus and Eurydice in her home town Guatemala City. Nowadays, Adriana is singing roles like Liù in Turandot at the Opéra de Toulon and Micaëla in Carmen at the Grand Théâtre de Genève, which she will debut in the 2018-2019 season. Adriana’s opera career all started under the tutelage of Mrs. Barbara Bickford, she is awarded the New Upcoming Artist Award 2009 by the Hemeroteca Nacional in Guatemala. A year before, she enrolled at Universidad del Valle de Guatemala, where she majored in Music and graduated as a Bachelor of Arts in 2012. In 2013, Adriana has her first engagement outside Guatemala at the Roger Barat Theatre in Herblay engaged her for their productions of Weber’s Abu Hassan and Zanetto by Mascagni. Later in March 2014, she was invited by the Atelier Lyrique of the Opéra National de Paris to sing the role of Zerlina in Don Giovanni at the MC93 in Bobigny. Born in Darlington, Anna Rajah studied at the Guildhall School of Music and Drama (GSMD) graduating with a 1st class BMus Hons degree. She then joined the Royal College of Music (RCM) where she achieved an MA with Distinction and subsequently trained at the International Opera School with Tim Evans Jones. Winner of the Royal Over-Seas League Competition 2014, the RCM’s Brooks/Van der Pump English Song and Joan Chissell Schumann Song Competitions, Anna received the audience prize at the Maureen Lehane Vocal Award (2012) and has been awarded a Musicians Benevolent Fund Miriam Licette Scholarship at the Royal Opera House. 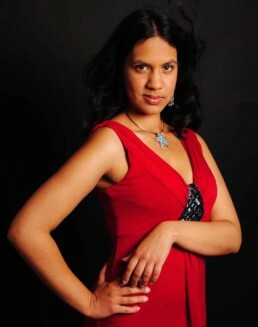 She was also a semi-finalist in the London Mozart Competition and Hampshire Singer of the Year in 2011. Anna is a recipient of Independent Opera Vocal Awards and a Samling Artist and in 2016 she reached the finals of the Kathleen Ferrier Awards and the Veronica Dunne International Singing Competition. Operatic roles at the RCM included Drusilla L’Incoronazione di Poppea in collaboration with English Touring Opera, Barbarina Le nozze di Figaro, Lady Ellington in Offenbach’s La Vie Parisienne, La Princesse L’Enfant et les Sortilèges and Alceste Arianna di Creta. She also performed the roles of Pepik, Owl and the Frog The Cunning Little Vixen and Queen of the Night Die Zauberflöte for Ryedale Festival Opera. She was also a member of the Glyndebourne Chorus where she was a Jerwood Young Artist, and performed the role of Siren Rinaldo and covered Sandrina La Finta Giardiniera. On the concert platform, Anna has performed Berlioz’s Les nuits d’été with the Ryedale Festival Ensemble, Haydn’s Nelson Mass at St. John’s Smith Square, Mozart and Rutter’s Requiem, Poulenc’s Gloria, Bernstein’s Chichester Psalms, Handel’s Dixit Dominus and Messiah, Scarlatti’s Laudate Pueri, Bach’s Magnificat, Finzi’s In Terra Pax and Saint-Saens Christmas Oratorio. Also interested in contemporary music, Anna created the roles of Emma Freeman in Chris Roe’s new opera called White Star, and Imogen and the vowel ‘O’ in Iain Burnside’s Journeying Boys. Anna Rajah was a member of the Opera Studio of the Bayerische Staatsoper, Munich from 2014-2016 where she performed many recitals, concerts as well as appearing in many of the company’s productions. Roles on the main stage include 1st Bridesmaid Le Nozze di Figaro, Contessa Adele Le Comte Ory by Rossini, Die Schleppträgerin in Elektra, High Priestess Aida, Käthchen Werther and Miss Wordsworth Albert Herring in the Cuvilliés Theater. 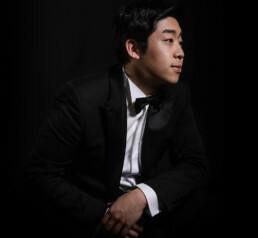 South Korean tenor Sehoon Moon is the 3rd Prize and Audience Prize Winner of the 2018 Francisco Vinas Singing Contest. Sehoon also made his debut at the Glyndebourne Festival this summer 2018 as Italian Singer in Der Rosenkavalier and covered the role of Ernesto in Donizetti’s Don Pasquale in summer 2017, and was consequently invited back to debut a major role with Glyndebourne on Tour in 2019. Furthermore, he will also make a role and house debut as Alfredo in Verdi’s La Traviata in Fall 2018 with the Malmö Opera alongside Patricia Petibon and Rebecca Nelsen as Violetta. Sehoon Moon has also won the 1st Prize of the Mt. Fuji Opera Competition in Japan in November 2017.Past engagements include the role of the British delegate in Kyoto in the world premiere of Giorgio Battistelli’s opera CO2 at the Teatro alla Scala in 2015, and he also was heard as Fenton in Falstaff at the Royal Opera House Muscat, in a production directed by Stepten Medcalf. Sehoon Moon joined the Accademia Teatro alla Scala in 2013 and performed in a concert at the Boshoi Theater in Moscow in 2014, hosted by the Bolshoi Academy and conducted by Tugan Sokhiev. Sehoon Moon earned a Bachelor’s degree in opera singing at the Dankook University in Seoul in 2011, where he made his debut in the role of Alfredo Germont in La Traviata as well as Rinuccio in Gianni Schicchi. That same year he was awarded the second prize at the prestigious International Hans Gabor Belvedere Singing Competition in Austria. 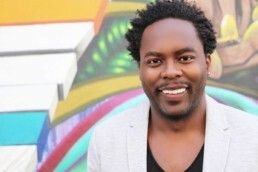 Called “one of the most versatile singing artists performing today” ( Bachtrack), Will Liverman is quickly gaining a reputation for his compelling performances, while making significant debuts at opera houses across the world. Engagements this season include his Metropolitan Opera debut in Nico Muhly’s Marnie, as well as performances with Opera Philadelphia, Dallas Opera, Tulsa Opera, and Santa Fe Opera. Recent highlights include Figaro in Il barbiere di Siviglia with Seattle Opera, Virginia Opera, Kentucky Opera, Madison Opera and Utah Opera; Dizzy Gillespie in Charlie Parker’s Yardbird with Opera Philadelphia and English National Opera; The Magic Flute (Papageno) with Florentine Opera; La bohème (Marcello) with Portland Opera; and soloist engagements with Virginia Symphony, Seattle Symphony, Las Vegas Philharmonic, Civic Orchestra of Chicago, and the New York Festival of Song. Liverman holds a Master of Music from The Juilliard School and a Bachelor of Music from Wheaton College.